Your "Gone With the Wind" party will be even more of a success if you take some time to prepare for the event and enhance the theme in the party's decoration, food, drinks and costumes. This Pulitzer Prize-winning novel and 1939 movie classic, starring Clark Gable and Vivien Leigh, gives you plenty to work with as you try to create an ambiance evocative of the Civil War South and the lavishness of the movie. Assuming you do not have access to a suitable antebellum house for the party, you can use elegant decorations to evoke the beloved mansion, Tara. Rent silverware such as candelabras, a punch bowl, cutlery and napkin rings. Make large flower arrangements on pedestals, featuring Southern favorites including magnolia, roses and crepe myrtle, dogwood and redwood blossoms. Use linen tablecloths and napkins, china plates and cut glassware. 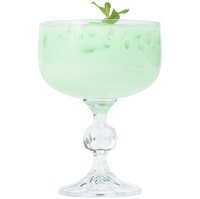 In addition to classic Southern cocktails such as mint juleps, old fashioneds and brandy crustas and the obligatory bourbon, invent some alcoholic and non-alcoholic concoctions of your own and give them names such as a Scintillating Scarlett, Rhett's Rum and Tara Tea. You can either choose to serve hearty Southern fare such as fried chicken, gumbo, collard greens, cornbread and peach cobbler, or go with a more elegant finger buffet with canapes such as cucumber or Virginia ham with peach chutney sandwiches, crab dip, shrimp, deviled eggs and red velvet mini cupcakes. In addition to having your guests come in costumes, you could ask them to come as specific characters, and for a certain amount of time at the party they must stay in character and act their part. Alternatively, hire some costumes and have guests volunteer to dress-up and act out pivotal scenes. Instead of insisting on full costumes, you could also ask the female guests to wear appropriately lavish hats or bonnets, which they have decorated themselves. Entertainment could include a themed trivia quiz, a competition for the best Rhett and Scarlett impersonations, a showing of the movie and, if there is room, a dance in the style of a southern cotillion. If you are able to accommodate the dance, hire a string quartet and a dance master to explain dances of the period. If you have access to a large outdoor area, you might even be able to persuade a local Civil War reenactment group to do an exhibition for you.